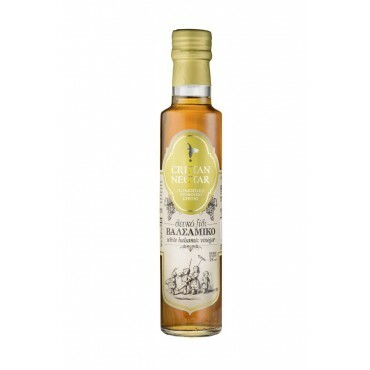 The White Balsamic Vinegar of Cretan Nectar is created by exceptional and natural raw materials of the Cretan land. It is a unique product with clear color and delicate flavor. The distinctive aromas make it ideal for fresh green salads and for marinating fish or white meat.